The power plants were designed to last only 30 years, according to investigative news site the Ferret. The revelation has caused concern among experts and politicians, who fear continued use of the nuclear reactors could put the public at risk. EDF Energy, which is majority-owned by the French government, has requested the Office for Nuclear Regulation (ONR) to permit an increase in the proportion of cracked graphite bricks in the two power plants from 10 to 20 percent. In order to generate nuclear energy, thousands of graphite bricks used to make up reactor cores are bombarded with radiation. When these bricks begin to crack, it threatens the plant’s ability to make a safe shutdown. The Hunterston and Torness power plants have both already seen their lifespans extended by seven years, until 2023 and 2030 respectively. A report for the Scottish Green Party by Pete Roche, of the Edinburgh Energy and Environment Consultancy, quotes a senior EDF figure as saying the lifespans of the plants could be extended even further. EDF Scottish Business Director Paul Winkle told a fringe meeting at the Scottish National Party (SNP)’s 2016 conference this will depend on the company’s assessments, according to the report. 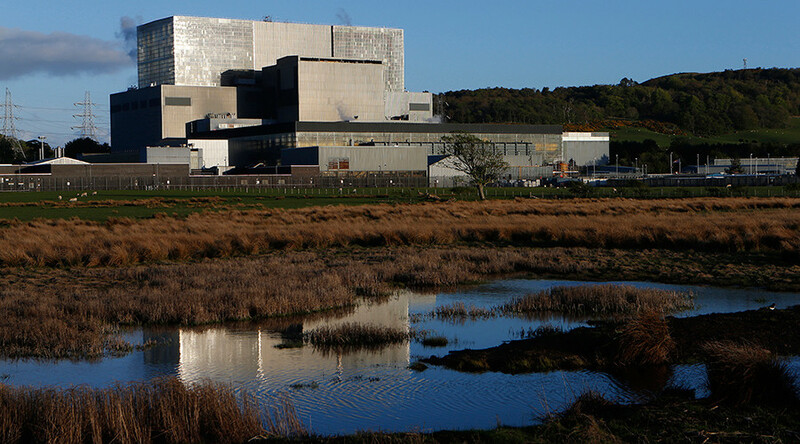 “The current life for Hunterston is 2023 and Torness is 2030, and that is based on our assessment of aging mechanisms in those plants and being absolutely sure that when they are shut down they are still safe to operate. “But to go beyond that we will do assessments and it may be possible to make some small further extensions, but we will not operate them beyond when we are confident they are safe to operate. Scottish Green MSP Ross Greer warned local communities would be concerned by the proposals. “The lack of public consultation is just unacceptable,” he said. Consulting nuclear engineer John Large has called for the plants to be shut down immediately, according to the Ferret. “Aging problems like this serious cracking of the graphite bricks at the heart of each reactor are deeply worrying, so much so that these nuclear plants should now be permanently shut down,” he said. EDF Energy rejected concerns over the nuclear plants, insisting they remain confident about the reactors’ lifespans. “The graphite in our reactors is behaving exactly as experts predicted it would, and this is confirmed by our regular inspection program,” said a company spokeswoman.